On April 26, 1774, German geologist and paleontologist Christian Leopold von Buch was born. He is best known as one of the most important contributors to geology in the first half of the 19th century. His scientific interest was devoted to a broad spectrum of geological topics: volcanism, fossils, stratigraphy and more. His most remembered accomplishment is the scientific definition of the jurassic system. 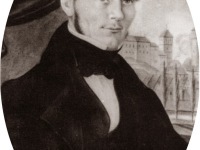 Leopold von Buch was the son of an ambassador in the Prussian service. 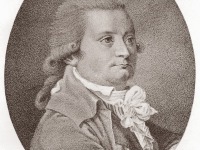 He studied mineralogy and chemistry in Berlin, but moved to Freiberg at the age of 16. There, it is assumed that von Buch got to know Alexander von Humboldt with whom he started a lifelong friendship. Von Buch’s scientific career led him to the University of Halle and later Göttingen. He dedicated his life entirely to independent geological research. In his early works, von Buch proclaimed his adhesion to the aqueous origin of basalt. He collected all the instances he could find of organic remains in that rock, and boldly affirmed that “it cannot be denied that Neptunism opens up to the spirit of observation a far wider field than does the volcanic theory“. In 1799, von Buch saw Vesuvius for the first time and about six years later, he had the opportunity along with Alexander von Humboldt and Gay Lussac to witness its eruption, which supplied von Buch with data for refuting many erroneous ideas then entertained regarding volcanoes. 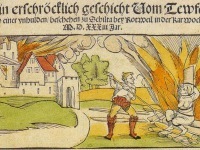 After several geological travels, von Buch published his work ‘Geognostische Beobachtungen auf Reisen durch Deutschland und Italien‘. In the very early 19th century, Leopold von Buch traveled to Skandinavia in order to examine its physical constitution and gathered all materials for his work ‘Reise durch Norwegen und Lappland‘, published in 1810. Von Buch was able to show that many of the erratic blocks on the North German plains must have come from Scandinavia. He also established the fact that the whole of Sweden is slowly but continuously rising above the level of the sea from Frederikshald to Abo. Further observations included the geography of plants, climatology, and geology. During a visit at the Canary Islands along with the Norwegian botanist Christian Smith, von Buch deepened his knowledge on volcanoes and gathered even more data. In 1814 he visited Lanzarote and realized that most of the volcanic eruptions there from 1730 to about 1736 came from a single long fissure, which today is estimated to be at least 14 km long. He came to the conclusion that other islands of the Atlantic owed their existence to volcanic action of the most intense kind, and that the groups of islands in the South Sea were the remains of a pre-existing continent. In 1821 von Buch published his theory of volcanoes as elevation craters. In his opinion they were formed by underground pressure of the magma, which led to bulging, sometimes also to caldera formation. At first he accepted a second type of volcano, the reservoir craters, but from 1835 he thought that all volcanoes were elevation craters, which led to a scientific controversy. Von Buch travelled to Italy again in 1834, where he found confirmation of his (now outdated) theory. 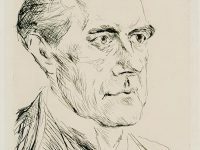 In his more advanced age, von Buch visited the mountains of Auvergne, and on returning home he read a paper on the Jurassic formation before the Academy of Berlin. The term ‘Jurassic’ is linked to the Jura Mountains. Alexander von Humboldt recognized the mainly limestone dominated mountain range of the Jura Mountains as a separate formation that had not been included in the established stratigraphic system defined by Abraham Gottlob Werner. Leopold von Buch introduced the separation of the term Jurassic into three sections, Lower Jurassic, Middle, and Upper Jurassic series of rock formations, also known as Lias, Dogger and Malm in Europe. Alexander von Humboldt described von Buch as one of the greatest geologist of the time. Christian Leopold von Buch died in Berlin on March 4, 1853 at the age of 78. To commemorate his merits in understanding volcanic craters, the Buch-Crater on the Moon was named after him. At yovisto academic video search, you can learn more about ‘Jurassic Mothers from China: Origins and Evolution of Mammals’ in a lecture by Zhe-Xi Luo, Professor of Organismal Biology and Anatomy.